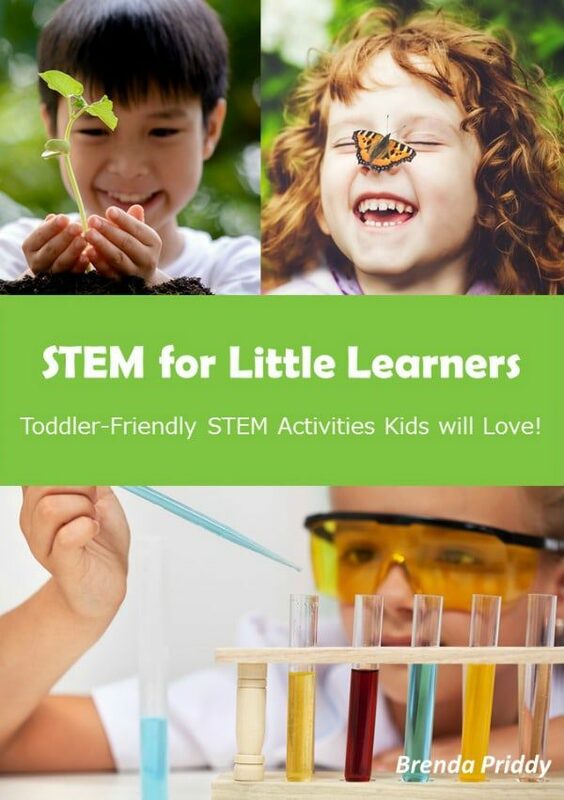 St. Patrick’s Day isn’t often thought of as a good time to teach science, technology, engineering, and math, but it turns out, with a little imagination, you can help children learn through any holiday! 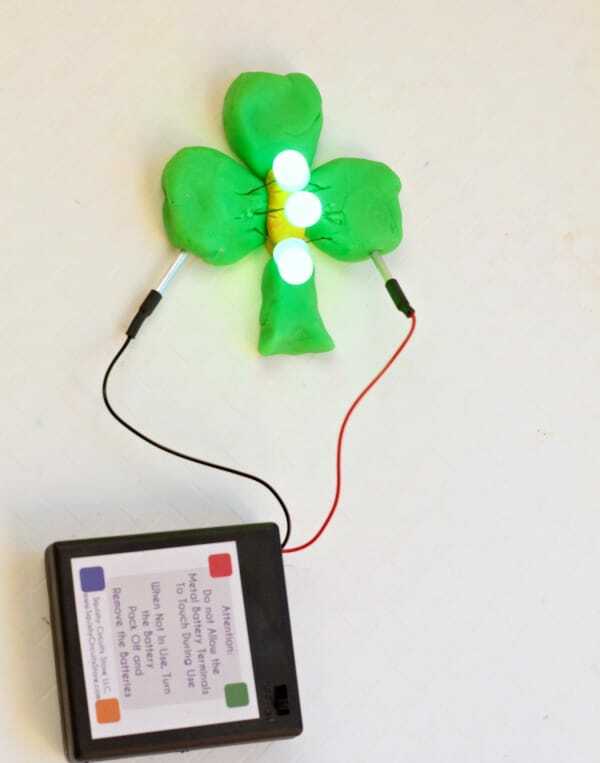 This St. Patrick’s Day, add a bit of STEM thinking and STEM activities to your holiday by making a Squish Circuits light-up shamrock! 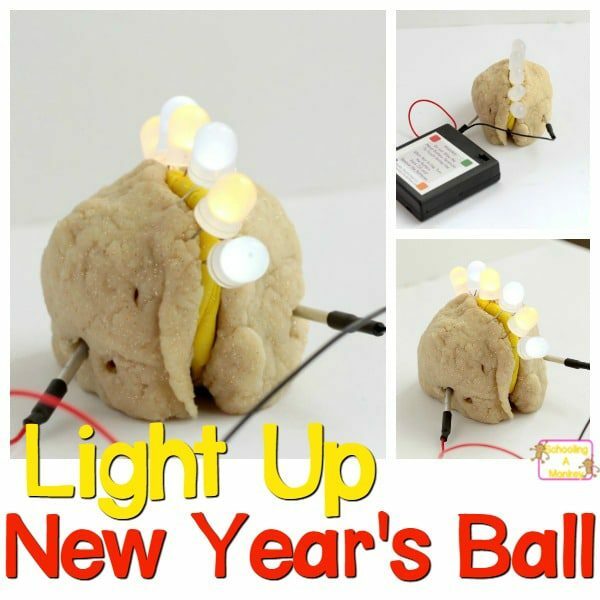 You’ll be surprised at how much fun it is to build this little electrical engineering project. 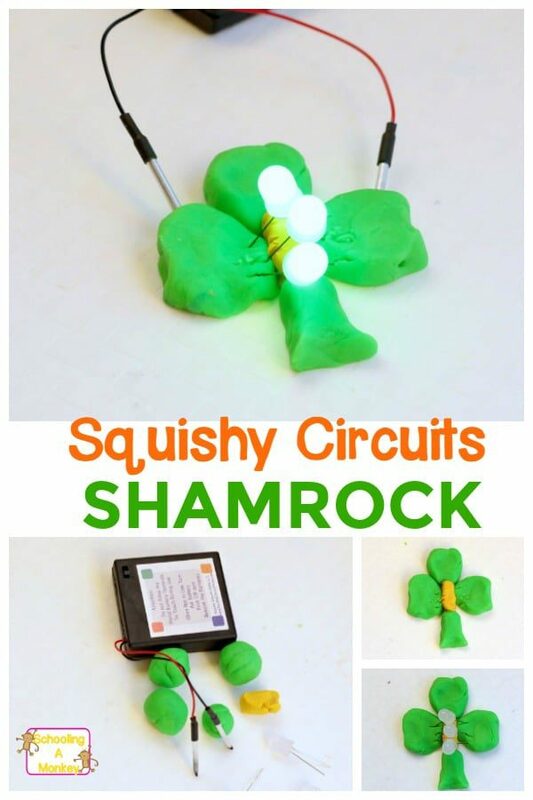 Teach the basics of circuits for kids with this Squishy Circuits Shamrock! 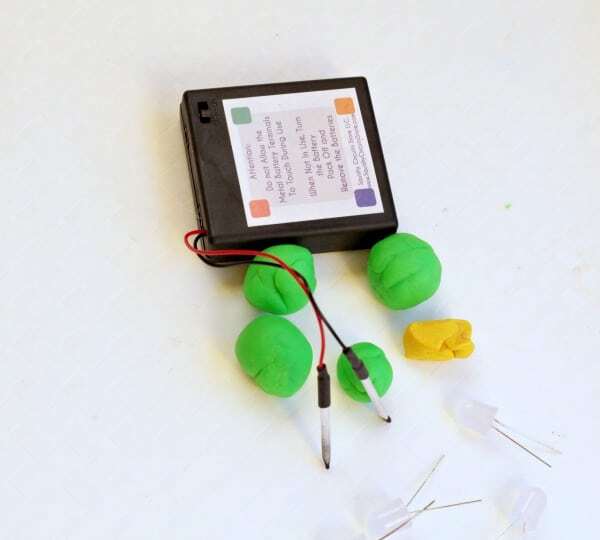 Tons of fun for St. Patrick’s Day STEM learning that will last beyond the holiday. 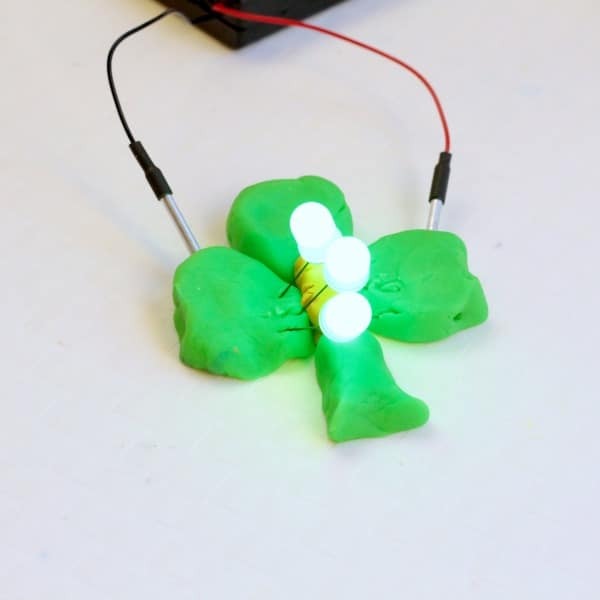 This little shamrock is the perfect way to learn about circuits on St. Patrick’s Day. Kids will love putting together a shamrock that lights up! Before setting up any circuits activity, you need to talk to kids about circuit safety. 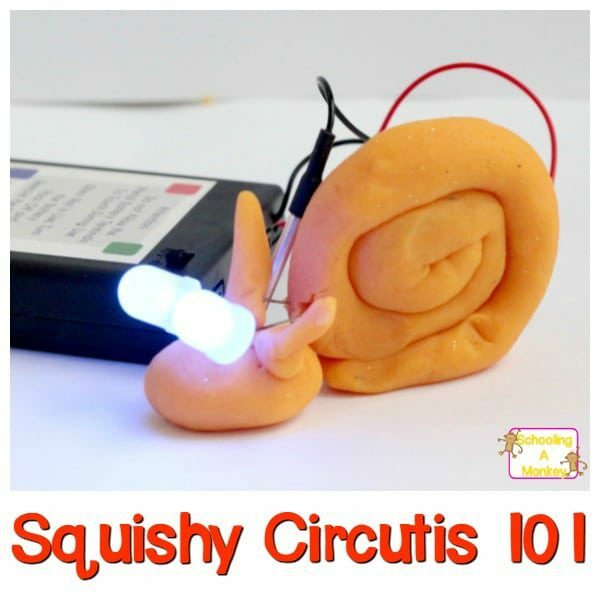 Even though the Squishy Circuits have a low chance of hurting a child, if you touch the bare metal to the LED lights while the switch is turned on, it will cause a short in the system and can give the kids a shock. Monkey happened to do this our first time using Squishy Circuits, and she said that it did hurt a little when that happened. It also burned out one of our lights, which was disappointing. Just take care not to touch the metal pieces to each other and you’ll be fine! Some dough is conductive while other is insulating. 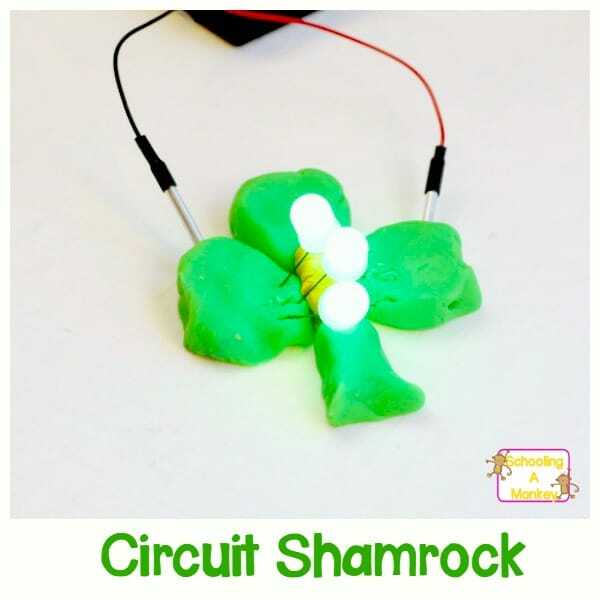 You need both types of dough to make the circuit shamrock work. If you place the two ends of the circuit into the same piece of dough, the circuit will not complete, and the lights won’t turn on. However, if you use insulating dough, the lights won’t turn on whatever you do. 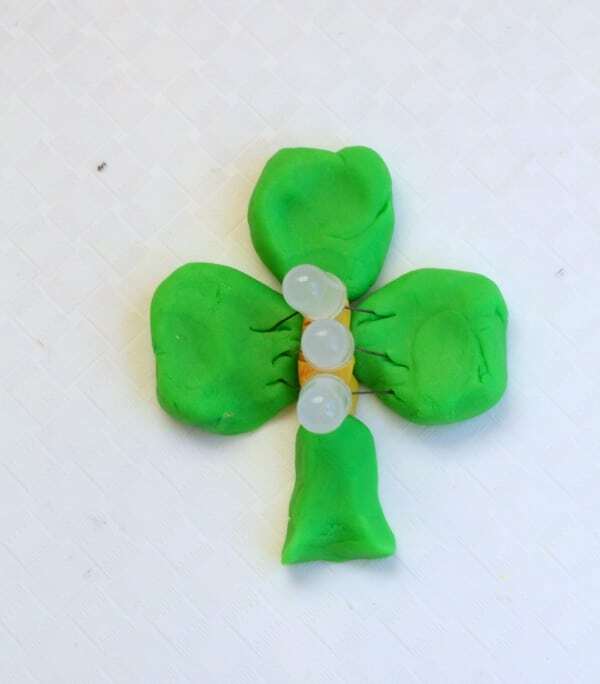 In the shamrock, the insulating dough in the center keeps the two sides of the shamrock apart and completes the circuit. 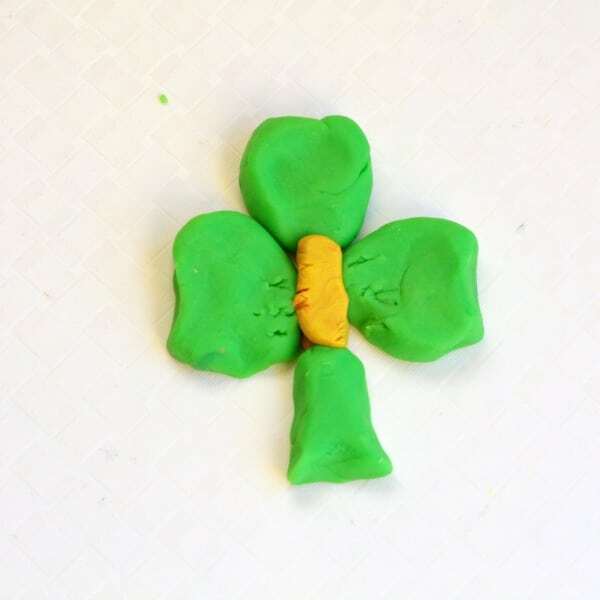 Form a center for the shamrock from the yellow dough, then form the three pieces of the shamrock and the stem from the four balls of green dough. Press them together and make sure the green dough is separated by the yellow dough. Plug the lights into both sides of the green dough over the yellow dough. Connect the positive side of the battery pack (red) to the same piece of dough where the long end of the LED light connects. Put the negative black wand into the piece of dough where the short side of the LED light is. Turn it on and it lights up! Our lights were a bright green, but in the photos, the light appears white. 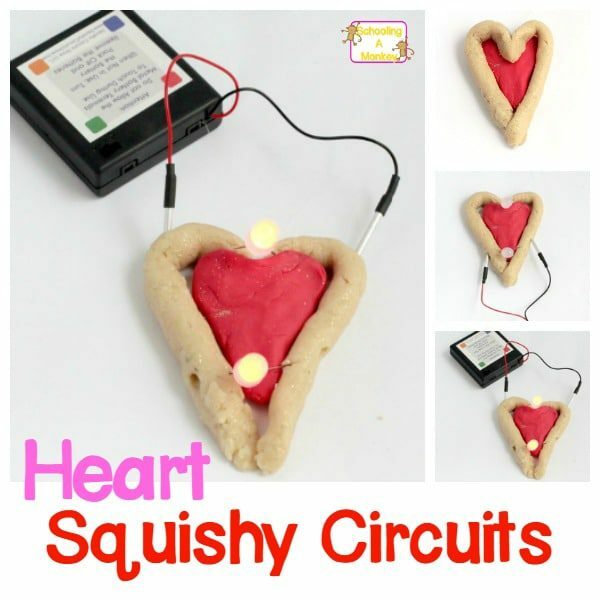 Get your Squishy Circuits Kit here!